On Thursday, Nov. 10, King County Executive Dow Constantine officially announced that Sound Transit 3 had been adopted by voters. The Sound Transit expansion proposal was approved by 57.79% of voters. By 2021, Sound Transit will complete light rail to Roosevelt and Northgate and in 2023 trains will reach Mercer Island, Bellevue, Overlake, Shoreline, Mountlake Terrace and Lynnwood. From there, Sound Transit will keep building until the agency has completed a 116-mile regional system. Next up will be getting light rail to Federal Way, downtown Redmond, Tacoma, West Seattle, Ballard, Everett, South Kirkland and Issaquah. The agency has a running start on the Federal Way and downtown Redmond projects. Light rail will reach Federal Way in 2024. Today, Sound Transit published the environmental impact statement that allows the agency to adopt the final route and move the project into design and construction. Sound Transit will also reach downtown Redmond in 2024. This month the Board is set to approve the funding to move forward with a route that has already received federal approval. Sound Transit will also start working on platform extensions that enable longer Sounder south line trains to serve 40 percent more riders, and will work with BNSF on options for running more trains each day. The measure’s passage also extends Sounder to Tillicum and DuPont. After adding Sounder parking in Puyallup and Sumner Sound Transit will move on to also expand parking in Edmonds and Mukilteo. Sound Transit will establish bus rapid transit along the north, east and south sides of Lake Washington, providing faster and more reliable service that runs every 10 minutes in peak hours supported with new parking and expanded stations. Meeting the accelerated dates included in the adopted ST3 plan, and beating them where possible, will mean a new way of doing business. It will require earlier, proactive engagement with project partners and stakeholder organizations. 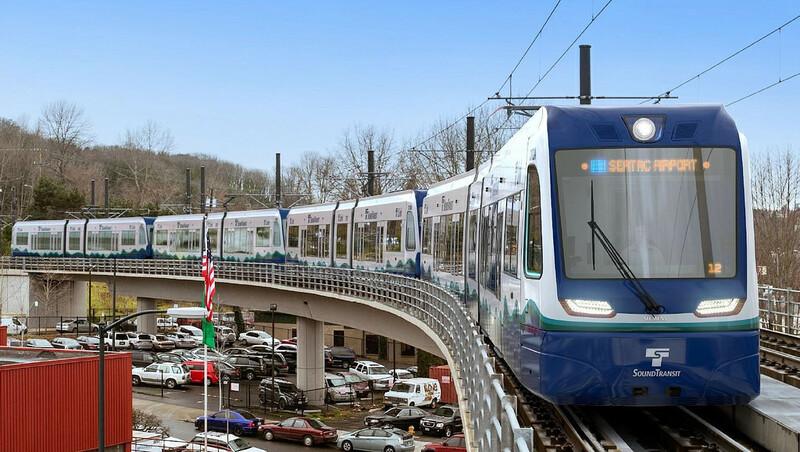 Sound Transit will work closely with local jurisdictions to find innovative and efficient means to secure permits and proceed through environmental reviews. Building these investments will put thousands of people to work and take many thousands more out of traffic. Every few years as we open each extension it will improve our region’s mobility, our economy and our environment.